Rabbi Yisrael Shalom Yosef Friedman of the Ruzhiner hasidic dynasty, who joined Hashomer Hatzair and founded a kibbutz, passes away at 94. Rabbi Yisrael Shalom Friedman of Pashkan (may his saintly memory be a blessing) - a rebbe from the hasidic line of Ruzhin who joined the Socialist Zionist youth movement “Hashomer Hatzair” and was one of the founders of Kibbutz Reshafim, has passed away. In 1946 Rabbi Friedman immigrated with his future wife to Israel, where he was one of the founders of Kibbutz Reshafim in the Beit Shean Valley. Baruchi said that he approached this undertaking with a sense of mission. In the 1960s, the Rabbi and his wife did Jewish outreach in France; from there they moved to Kibbutz Saad and later to Jerusalem. 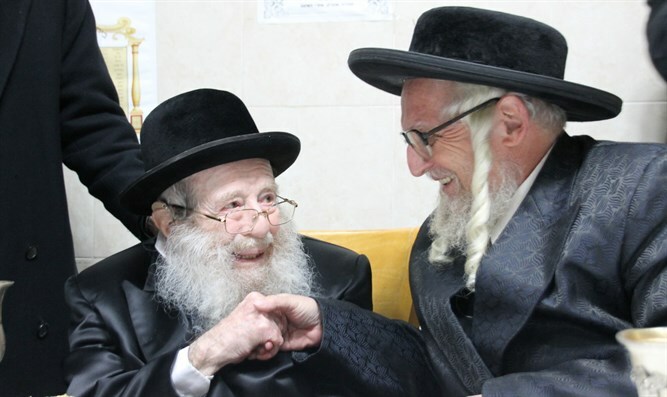 Baruchi said that as a member of the Ruzhiner hasidic dynasty, Rabbi Friedman was well-known, such that during his studies in yeshiva high school, Baruchi met two grandsons of the Rabbi and started going to the Rabbi’s Shabbat events in Jerusalem. Rabbi Yisrael Shalom Yosef Friedman also held a doctorate and was a lecturer in history; he wrote his thesis on the Jewish zealots who fought against the Romans.